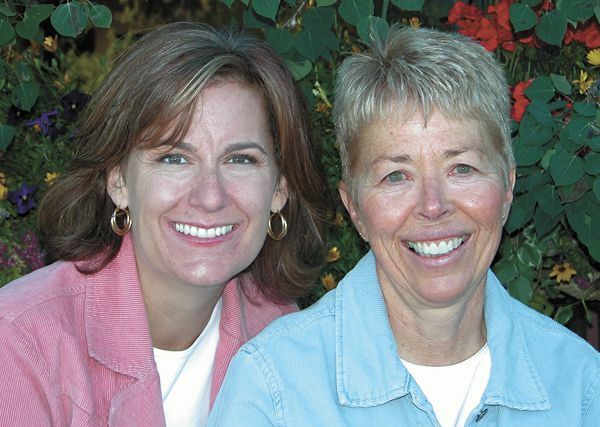 Real Estate Forum.BY JOYCE NENNINGER AND ALLISON SIMSONQuestion: Allison, I just moved to Summit County and am just beginning to realize how hard it is to be able to afford housing here. I know that local associations are trying to assist with housing. Is there anything that can be done on a national level to promote affordable housing? What are Realtors doing about the situation? Answer: That’s a great question. At the first Regional Summit on Housing Opportunities held in Phoenix, National Association of Realtors (NAR) President Thomas M. Stevens called on community leaders to create more workforce housing because job sites are becoming increasingly distant from communities with affordable homes. Former U.S. Housing and Urban Development secretaries Henry Cisneros and Jack Kemp, along with U.S. Rep. J.D. Hayworth (R-Ariz.), were among the leaders who spoke at the summit, which was sponsored by NAR and the Arizona Association of Realtors. This regional summit is part of NAR’s Housing Opportunity Program, which was designed to promote and improve the availability and affordability of housing.As many as 200 housing opportunity programs are now sponsored by state and local Realtor organizations to address local housing needs since the program’s inception three years ago. “The workforce housing shortage affects us all,” said Stevens, of Vienna, Va., who is senior vice president of NRT Inc. “When people can’t afford to live where they work, families suffer, businesses suffer, and communities suffer.” A new NAR report titled “Workforce Housing: Linking Leadership with Solutions” states that workforce housing would benefit businesses as well as employees since a lack of affordable housing close to the work place creates long commutes that can contribute to employee turnover and absenteeism.”The tremendous demand for housing has driven home price gains to unprecedented levels in many markets,” Stevens said. “While this is good for existing homeowners, it is making it more difficult than ever for new entrants to find affordable housing. The workforce housing challenge goes beyond the fact that incomes can’t keep up with the mortgage or rent. Realtors are partnering with leaders in their communities to find solutions that address the lack of affordable housing.”The 2005 Housing Opportunity Pulse survey in May found that Americans rank affordable housing as one of the two most difficult issues they face. It also showed that Americans worry that the cost of housing is widening the gap between those who can afford to buy a home and those who cannot. Question: We have found a situation that seems too good to be true. Our landlord is offering a sweet deal on being able to rent until we own the property. This is great for us because our credit is not all that great. Do you have any comments? Answer: Home buyers without perfect credit or enough cash for a down payment often turn to rent-to-own programs to achieve home ownership, which allows them to secure a property, put part of the monthly rent toward the down payment, and take a couple years to improve their credit before applying for a mortgage.However, observers say buyers need to proceed with caution, as consumer complaints in Florida, Texas, and other states reveal that the transfer of property from landlord to tenant is not always hassle-free.Many investors are collecting option fees with no intention of ever turning the property over to the would-be buyer, sometimes making rent-to-own agreements on homes with severe title problems or terminating agreements over maintenance issues or one-day-late rent payments. Buyers are urged to check the home’s title and have a professional look over the lease-option contract before signing.Question: Joyce, I have a property under contract and have some second thoughts about owning where there is a homeowners association. Is this something that people are generally concerned about? Answer: Most homeowners who live in developments governed by community associations generally find the situation agreeable, according to a poll of about 800 randomly selected adults.The survey, conducted by the Community Associations Institute (CAI), found that 70 percent of respondents rated their experience living in an association-run neighborhood as good or very good, with only 10 percent calling it bad or very bad. Most – 90 percent – said they are friendly with board members, and just 4 percent admitted to adversarial relationships with board members. Moreover, most unit owners who live in associations with professional management believe their mangers are supportive and provide value; and those who have interacted directly with managers mostly did so with positive results.More than 85 percent of the poll participants said they get along with their neighbors; those who do not cited conflict over pets, noise, and general lifestyle. While almost 80 percent agreed that association rules protect and improve property values, residents cited following those rules – along with paying assessments and being limited in what exterior upgrades they perform – as the primary drawbacks of living in an association-ruled community. “I wasn’t surprised by the general contentment, but some of the other numbers were a little better than I thought they would be,” remarked CAI’s Frank Rathburn, referring to the results. “The numbers with managers and board members tell you that the overwhelming majority are trying to do a good job in an effort to be responsive to unit owners.”For answers to your real estate questions, call JOYCE NENNINGER or ALLISON SIMSON at (970) 468-6800 or 1 (800) 262-8442. E-mail Info@SummitRealEstate.com or visit their website at http://www.SummitRealEstate.com. Allison and Joyce are both longtime locals in Summit County. Summit Real Estate – The Nenninger/Simson Team is located in the Dillon Ridge Marketplace. Their longtime residency and years of real estate experience can help you make the most of any buying or selling situation. Both are Certified Residential Specialists (CRS), the highest designation awarded to a Realtor in the residential sales field. Their philosophy is simple, whether buying or selling, they understand the most important real estate transaction is yours.